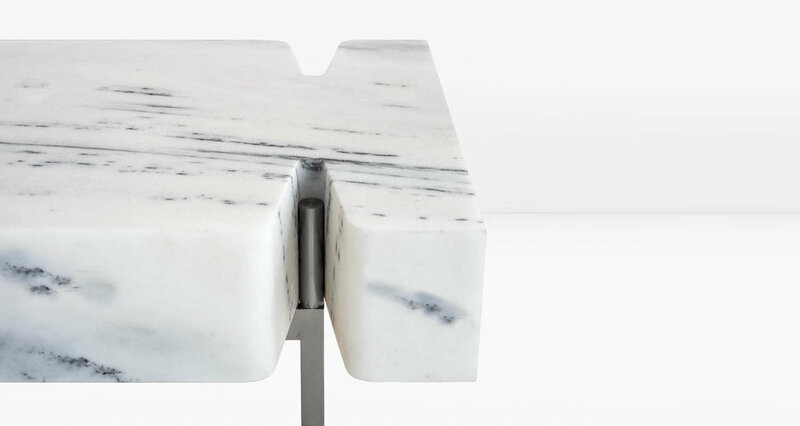 The Terranova is a simple concept: a solid, rectangular block of marble which has been interrupted to accept the metal prong legs which delicately support it. Shown with a Statuary Marble top and Solid Silicon Bronze base (last 2 images shown with Nickel base). 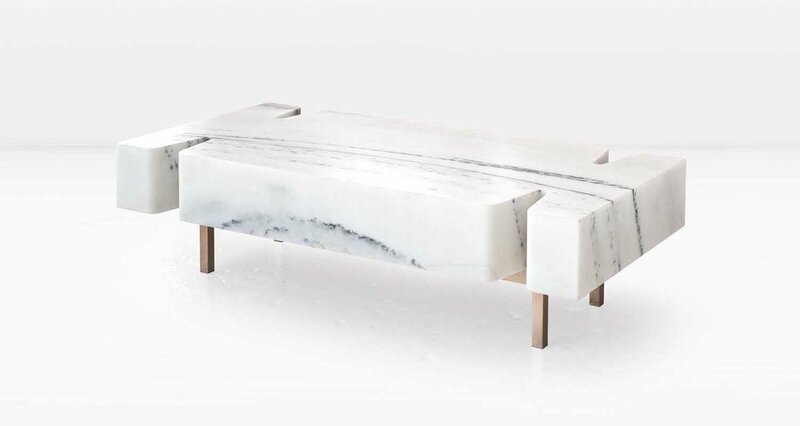 Also available with a White Marble top.